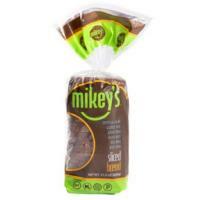 Mikey's Sliced Bread is like no other. Rich, wholesome, satisfying and oh-so-delicious! Mikey's incredibly clean ingredient deck delivers unbelievable taste. It takes clean eating to a whole other level.